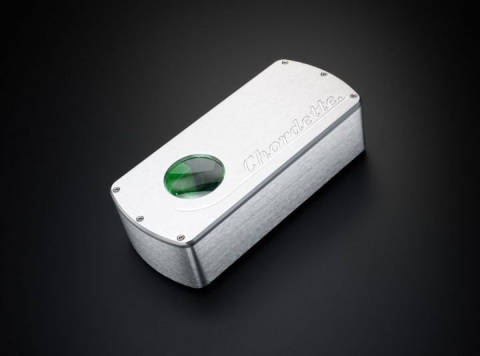 The new Chordette Qute EX DAC is an upgraded version of the multi-award-winning QuteHD DAC: a What Hi-Fi? Sound and Vision ‘Best DAC’ winner for both 2012 and 2013. The Qute EX, which is available alongside the QuteHD, now offers both 384kHz PCM and DSD 128 playback for today’s high-resolution DXD (Digital eXtreme Definition) music files. The Qute EX builds on the strengths of original QuteHD, a compact high-performance D/A convertor that eschews off-the-shelf DAC chipsets in favor of a bespoke FPGA (programmable) circuit. Its EX stable mate, with the ‘EX’ suffix denoting its DXD (Digital eXtreme Definition) intentions, takes the Qute’s high-resolution file playback capability to a whole new level. In addition to 384kHz PCM files, the QuteEX can also process DSD 128 data using the latest DSD-over-PCM standard (DoP), making it the world’s most affordable high-quality DSD 128- and 384kHz-compatible USB DAC. Whether using Mac OS or Windows OS, Chord Electronics’ own proprietary driver software is provided, removing the restrictions of current operating system audio playback. The Qute EX shares the same bomb-proof build quality and stunning aesthetics that have helped make Chord Electronics famous around the world, and just like other members of the Chordette range, the QuteEX benefits from a one-piece aluminum chassis that has been milled from solid billet in the UK. Complementing the elegant design is a top-mounted ‘porthole’ that gives users an intriguing insight into the internal circuitry, which changes color with differing incoming sample rates.